Hi we got are eg dynoed there. After couple runs it done its usal spluttering and missfiering. Air and fule was way rich not. Changed dizzy cap to new one and made 198 bhp lol. Strange. Thinking p13 ecus were past it maybe. If the knock sensor is drokked, that will retard the ignition, you will be well down on power and may get misfires. If the knock sensor isn't correctly/securely fitted, that will have the same effect (it will rattle and think that's a knock). 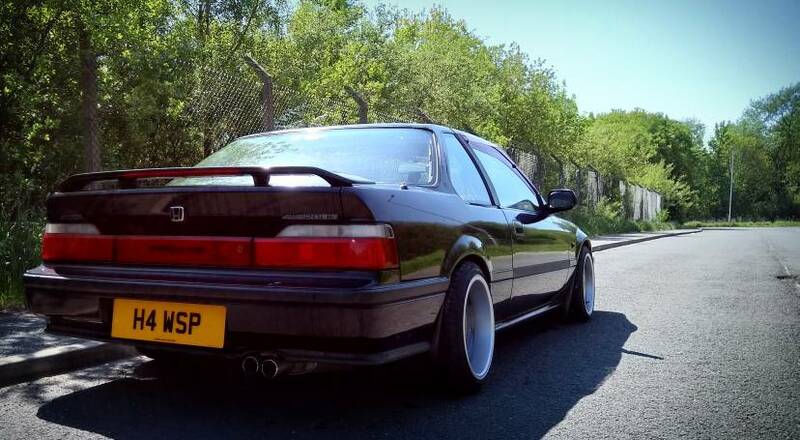 From that list of ECU's you've mentioned, which ones came from a jdm car and which came from a UKDM/EDM car? Which injectors are you running and are you running with the injector resistor block or not? Last edited by spudep91 on Sun Jan 27, 2019 12:45 pm, edited 1 time in total. Then those 3 ecu's definitely require a working knock sensor and that is most likely the source of your problem. Yea got new sensor in. We at track tomorrow so hopefully no more messen about. Can you whack on a JDM ECU to a standard UK 2.2 and expect to gain anything other than a lightning of your wallet? Nope. No positive benefit and it will in fact cut power because the UKDM won't have a knock sensor so the JDM ecu will log a fault code. The way to gain a small amount of power in a UKDM is to fit a spoon chip to the standard ECU. The Spoon Chip, filed next to the Hen's Teeth?? They used to be readily available as copies on here, for a very resonable sum. Unfortunately the member who offered that service has been very quiet of late.